Congratulations! That is quite the achievement. 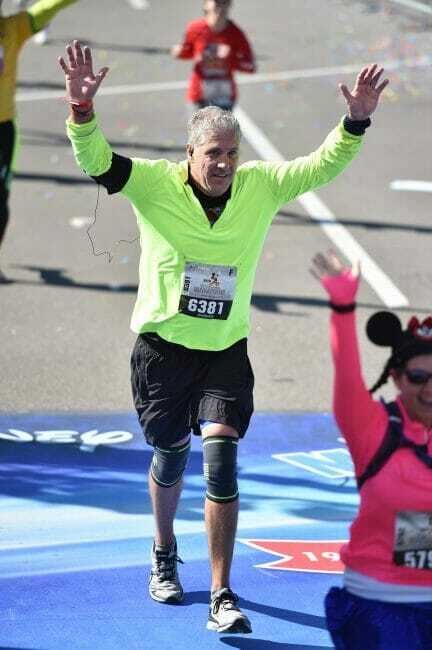 Way to go Warren, congratulations and thanks for sharing the journey along with the race. Well done a great achievement! Oh, wow. Major kudos for running and finishing, despite the knee and foot problems! Also, now that you're done running marathons, could you run for Arizona Senate? Please? Congrats. Something to be proud of! I couldn't wipe the grin off my face when I read about the besting of a mini-Wonder Woman with the "...I ran her down around mile 24 and beat her to the finish line. A very satisfying triumph." I get the same feelz when I run past my 5 year old grandson, only to watch him pass me seconds later. Glad to read your pre-race plan held up, finishing is quite an accomplishment. I see a wire from your arm, did you listen to music during parts of the run?